of Hurting and Being Hurt! Who's Afraid of Couples Therapy? How Can We Stop Fighting? Can Our Relationship Survive and Affair? My special focus is in couples therapy (marriage counseling), helping couples in crisis to break out of the vicious cycle of hurting and being hurt. I also specialize in helping multi-cultural couples deal with cultural and religious differences that often pose major stumbling blocks to their relationship. If you're single, dealing with a break-up, or your partner is not willing to attend couples counseling, individual therapy can help explore past, current, or future relationships, and gain insight into other personal areas of your life. 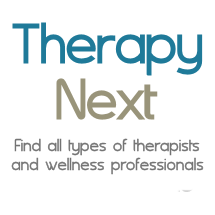 I am a licensed psychotherapist, and have been working in the mental health field since 1996. I have been married myself for more than 20 years, with 2 children, so I understand both the joys and struggles that marriage and family can bring. I'm committed to addressing couples and individuals as whole people, on an emotional, mental, social, and spiritual level. That means that a big part of my focus on relationships is about respecting who you are - your values, choices, and beliefs - and helping you to grow and flourish in that. We'll work together to strike the right balance between respecting your boundaries of how much you’re willing to change at this time, while gently challenging you to grow in areas of your life and relationships. The specific approach to counseling that I take is a blend of Cognitive-Behavioral Therapy, Acceptance and Commitment Therapy, and Systemic Therapy. Put simply, that means that the focus is on understanding how our thoughts and feelings, as well as our interactions with others, can affect how we perceive life, and then working together to find practical solutions to deal with this. As a licensed clinical social worker (LCSW), I am a mental health practitioner licensed in California by the Board of Behavioral Science to provide psychotherapy in private practice. While I have spent most of my professional career in the States, I am originally from Berlin, Germany where I earned my master’s degree in social work (MSW), and a certificate in Systemic Counseling and Therapy from the Institute of Systemic Therapy and Occupational Counseling (ISTOB) in Munich. I am a staff therapist at The Couples Institute in Menlo Park.